1st Place Best Catholic Novel of 2014 from the Catholic Press Association! For smart-aleck Josh, being a Christian in the eighth grade is completely irrelevant, especially with the temptations that middle school can bring. For him, life is all about playing video games, getting money, and causing trouble. He doesn’t need anybody and he makes his own rules. When his teacher assigns a pen-pal project, Josh meets Pie, a spunky senior citizen with a love of his Catholic faith, Saint John Bosco, and the New York Yankees. But much to Josh’s surprise, Pie creates his own project for Josh, and Josh realizes that God has a plan—even for him. In this inspiring novel that radiates the dignity of the priesthood and the discovery of God’s calling for each of us, Josh is shocked to find himself fighting hard on a spiritual battlefield, but often for the wrong side. As the friendship with his new mentor deepens, Josh learns that God has more in store for him than he could have ever imagined. "...a real delight for yourself and your kids—a great way to immerse yourself and your 'tweens in the Little Way. I was completely pulled in by the stories, which read like Anne of Green Gables in that they are timeless and relevant." " I *loved* it. Every night, I couldn't wait to get home to read what happened next. I plan to actually RE-READ this book (The Gate) at a future point, and that is the ultimate stamp of endorsement from your Catholic Librarian...It is inspiring, it is lovely, it is thought-provoking, it has an ending that made me cry. Multiple times. This is an absolutely worthwhile book for middle school aged children and adults alike." 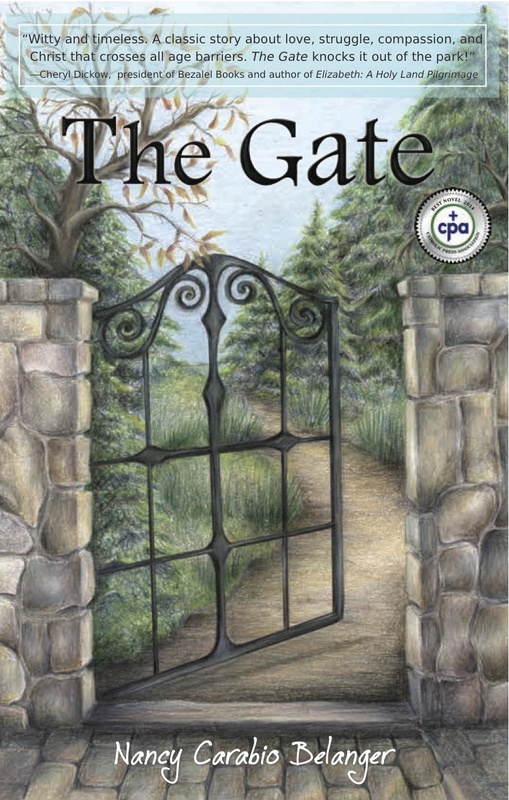 " A novel that inspires from the start, The Gate is a gripping story of discernment and saying "yes" to God's marvelous grace. " " A wonderful novel about faith, the pain of growing up, and trying to choose the Good. 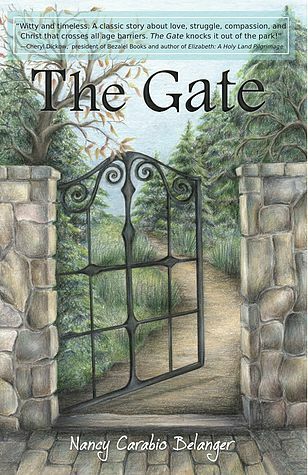 The Gate reminds us of God's plan for every person, for our happiness and spiritual growth, and how He reveals it in very different ways. Nancy Carabio Belanger takes us on an exciting journey that shows how He sends special people at various times in our lives to help us find our true, God-predetermined vocation. " " The book itself (The Gate) is a great promoter of vocations because it doesn't fall into what I might call sentimentalism. Rather, it takes a real-life situation and places Christ right into it. 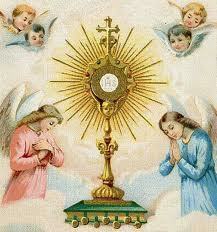 It shows how priests are human, and called to conversion, and how God leads them. " " Parents looking for a book that...promotes wholesome Christian values and the Catholic faith will want to get their hands on Olivia's Gift. Pro-life values are subtly underscored in a moving chapter...and Olivia's turning to her favorite saint for help ultimately leads her to do the right thing, after taking a few wrong turns along the way. Even better, her example influences her friends to become better persons themselves. " " ...a real delight for yourself and your kids—a great way to immerse yourself and your 'tweens in the Little Way. I was completely pulled in by the stories, which read like Anne of Green Gables in that they are timeless and relevant. " " I loved it. Every night, I couldn't wait to get home to read what happened next. I plan to actually RE-READ this book (The Gate) at a future point, and that is the ultimate stamp of endorsement from your Catholic Librarian...It is inspiring, it is lovely, it is thought-provoking, it has an ending that made me cry. Multiple times. This is an absolutely worthwhile book for middle school aged children and adults alike. "